Are Annual Furnace Inspections in Pittsburgh Really Necessary? From the historic row houses of the Mexican War Streets to the mansions in Observatory Hill or the businesses and office buildings along the North Shore – you can count on us for 24/7 emergency furnace and air conditioner service in Pittsburgh’s Northside. The Northside is ripe with older homes with loads of history and character. Naturally, many of these great homes will need a furnace upgrade or central air conditioning when they’re renovated for today’s buyer. Hopefully, they already have existing forced air and ductwork going to all rooms. If they don’t, we can install a complete forced-air system with ducts and vents. The Pittsburgh HVAC techs at TopNotch Heating & Air can make your home’s heating and cooling much more energy efficient. If you have a furnace or central air system that’s older than 8 to 10 years-old, you’re likely throwing away money when you pay your utility bill each month. Today’s units must be built to be more energy efficient and there may even be tax incentives for installing them. Considering the escalating repair and maintenance costs for older models and the incentive to lower utility bills month-to-month or qualify for tax breaks, a replacement furnace or AC may be a worthy investment. Our HVAC technicians in Pittsburgh’s Northside will be more than happy to go through your options for a new or replacement AC or furnace if one’s deemed necessary. Whether it’s a Mexican War Streets home or a crowded bar or restaurant along the North Shore on a Steelers Sunday, homeowners and businesses alike need to ensure their heating and cooling doesn’t fail them when they need it the most. This is why TopNotch encourages Northside homeowners and commercial property owners to look into our preventative maintenance plans. Small issues can be identified and fixed before they become bigger costlier issues. We’ll take care of filters that need to be replaced, clean components, and do our best to set you up with uninterrupted season-long comfort. Our Northside Pittsburgh HVAC pros are even available for 24/7 emergencies. If your heating or cooling system fails you at some odd hour of the day or night, give us a ring and we’ll have a technician to you in no time at all. 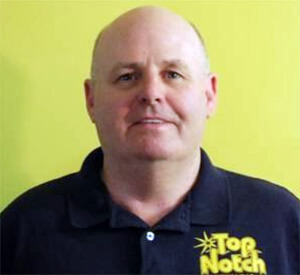 TopNotch Heating & Air is here to help you with our fast, quality service. Call us today at 412-381-0598. We look forward to working with you and we’ll be happy to answer any questions you may have. Call 412.381.0598 to get a free, expert estimate today! Air Conditioning Contractor © 2016. All Rights Reserved.